A program for creating sound effects for games, music, videos - whatever you want! A manual and some example sounds are included to get you started. Works on Windows (requires .NET Framework 2.0) and other platforms through Mono. Multiple channels: Up to eight individual channels. All or any element of a channel can be copied to another. Modulation: For vibrato and tremolo (pulsating variation in pitch and volume). Envelopes: To shape everything the way you want it. 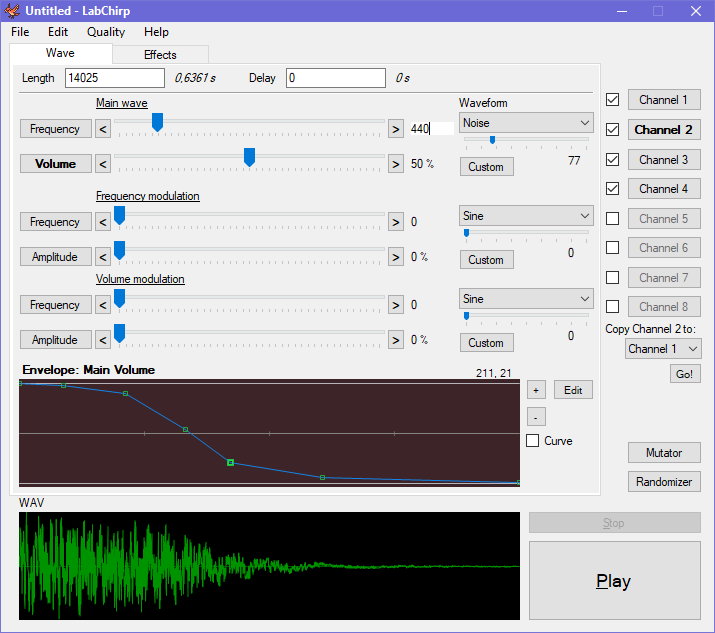 Waveforms: Make your own custom waveforms, or use any of the standard ones (sine, triangle, sawtooth, square, noise). Effects: Add cool post-effects to your sound. 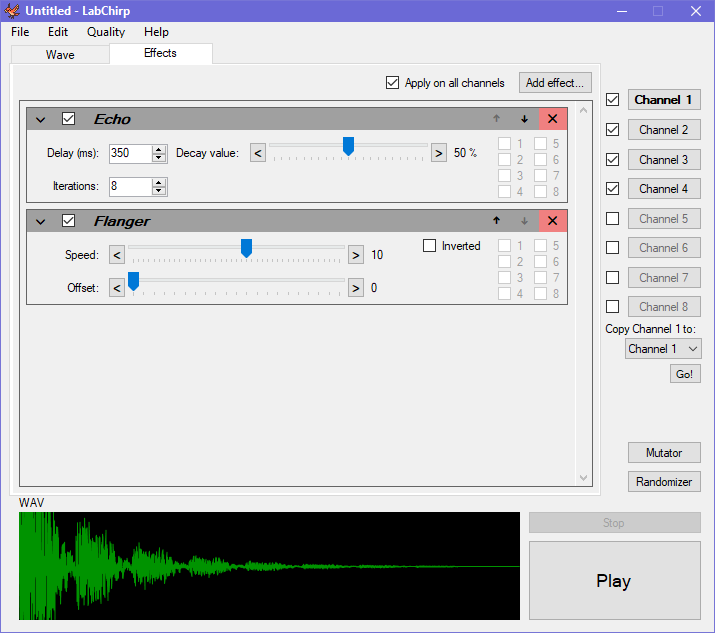 Customizable randomizer: For the lazy sound designer. 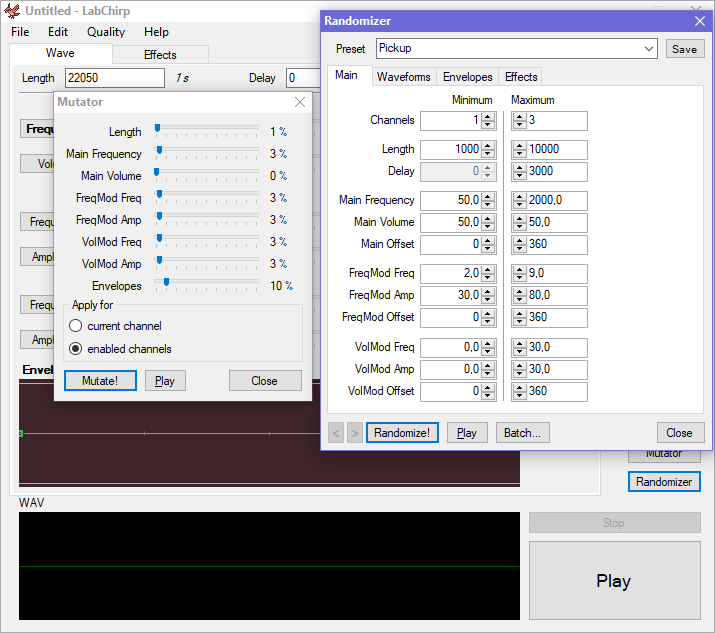 Customizable mutator: To randomize your sound slightly. Batch save: If you are in a hurry and need a lot of sounds fast. Here is a demo in mp3 format showing all of the example sounds and some randomly generated sounds using different presets. Apply cool sound filters/effects such as Reverb and Flanger to your sound! Automatically trim silence at the beginning and/or end of your sound. Envelope preview in the Randomizer. Wave frequency accuracy correction (was 0.05 % off before). Loud sounds could overflow and "loop" instead of being clipped. Probably some other bug fixes that I forgot about. 178 420 Labbed.net <img src="https://www.oldergeeks.com/downloads/gallery/thumbs/LabChirp1_th.png"border="0"> Feb 02, 2019 - 13:35 1.50 139.5KB ZIP , out of 2 Votes.